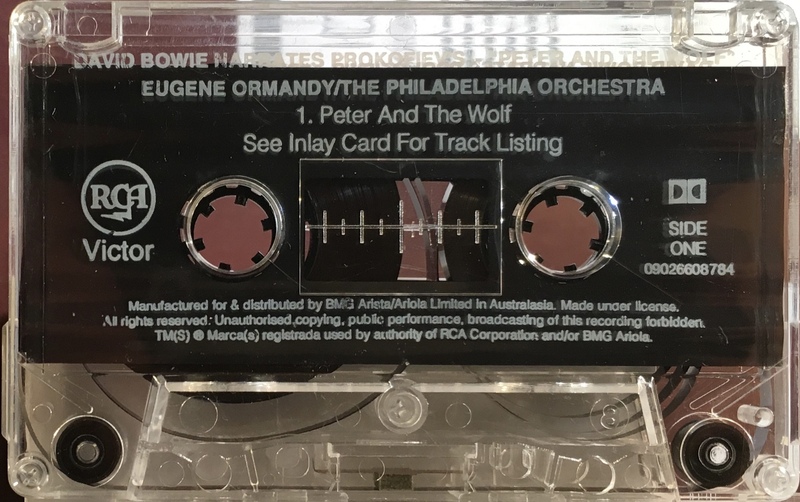 Peter And The Wolf; Australasia; RCA Victor, 09026 60878-4; 1992. ‘Peter & The Wolf (David Bowie, narr.) 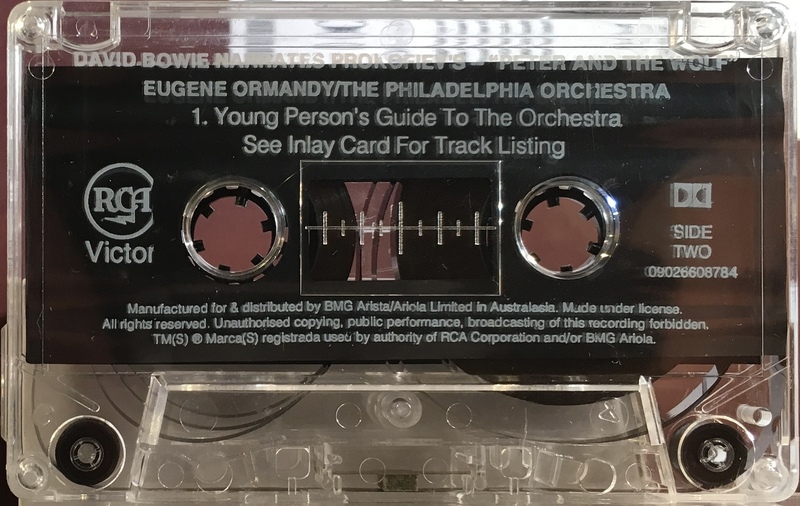 Young Person’s Guide To The Orchestra, The Nutcracker Suite. Eugene Ormandy/ The Philadelphia Orchestra’..
Cover photo with red banner top showing ‘RCA Victor 60+’ with white spine, inner and rear panels. Perforated, thick paper with track list on the inner panels and story on the inside panels. Marketed for and distributed by BMG Arista/ Ariola Limited in Australasia on rear panel and ‘BMG Classics’ logo.. RCA Victor on spine. The cover photo is a copy of the 1992 CD album sleeve. White ink printed directly onto clear shell with plain slip sheet with circular ‘RCA Victor” logo.